This Instant Pot Taco Soup is a delicious vegetarian, gluten-free version that is filled with fibre and protein - make it for a busy weeknight dinner or enjoy it as your weekly meal prep! Add olive oil, onion, garlic, spices, diced tomatoes, beans, corn and vegetable broth to Instant Pot in that order. Cook on high pressure for 3 minutes, then do a quick release of the pressure. Stir in bell peppers and Chickapea Pasta, then let sit for 5-10 minutes. 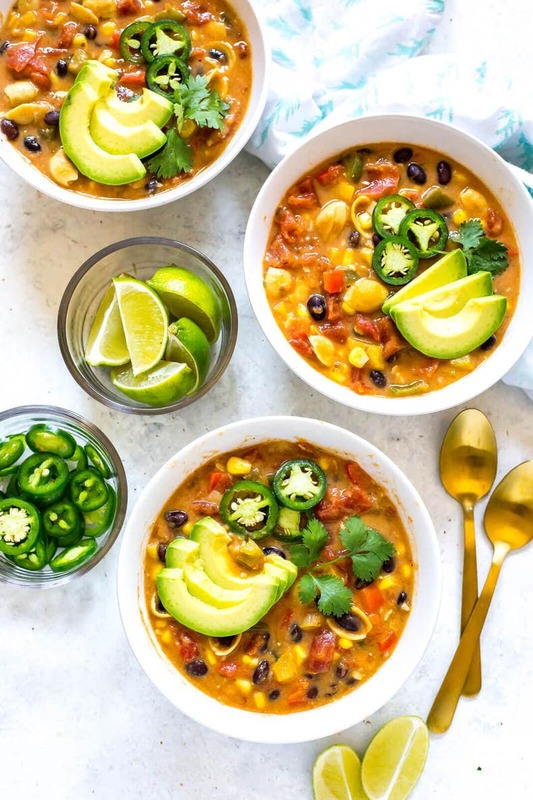 Ladle into bowls then top with jalapeno, cilantro and avocado. Serve and enjoy!